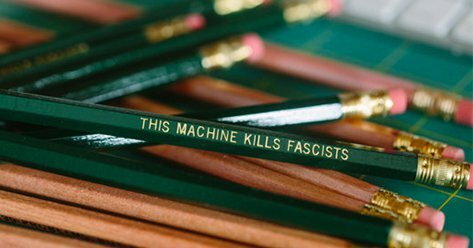 FrogandToadPress in Rhode Island makes a lot of cool pencils, including these great “This Machine Kills Fascists” ones based on a message that Woody Guthrie placed on his guitar in 1941. Check them out here. Love this phrase, love puns, and also love hot beverages? 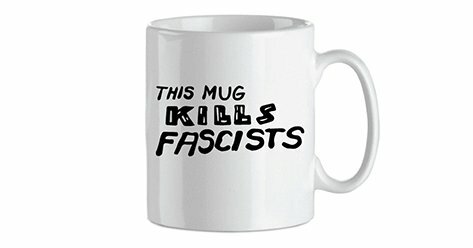 This is the mug for you. Get yourself one here. 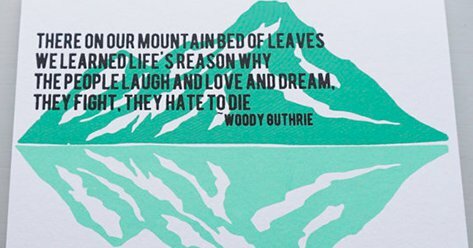 The ideal Valentine for a Woody Guthrie fan, this card is designed and screen printed on natural white folded cards and comes blank inside for your personal note. Get yours here. Looking for a cute digital download? 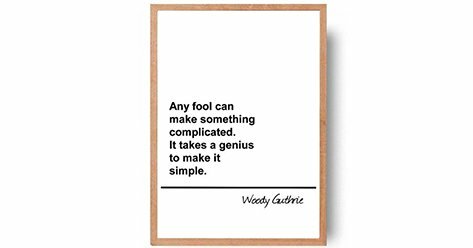 This minimalist instant download will look beautiful pinned to your bulletin board. 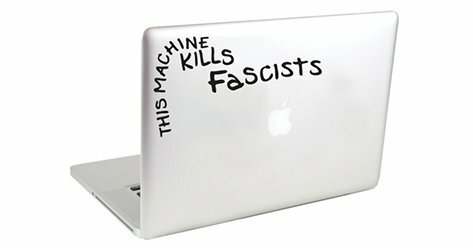 This easy to install decal is is the ideal Guthrie enthusiast bauble. Make a statement while you’re typing up a storm and snag yours here. Get last-minute tickets to Woody Sez at Seattle Repertory Theatre or unlock $19 Rush tickets on TodayTix.